Popularly referred to as “Bandel Church” is a Catholic shrine in the state of West Bengal known as “The Basilica of the Holy Rosary”. This church constructed by the Portuguese is located in small city called Bandel in the Hooghly district. This church was constructed in the year 1599 and was devoted to “Nossa Senhora do Rosario” i.e. Our Lady of Rosary. In addition, this church is also a part of the “Roman Catholic Archdiocese of Kolkata”. Furthermore, the Portuguese built catholic shrine is considered to be one of the “most popular historical churches” in the state as well in the country. The nearest station to this church is located in the city of Bandel. The Bandel Railway Station is well connected to major cities in the country. There is one route from Bhubaneswar to the church, and it is via NH16. There is one route from Cuttack to the church, and it is via NH16. There is one route from Puri to the church, and it is via NH16. There is one route from Patna to the church, and it is via NH19. There is one route from Kolkata to the church, and it is via NH19. It was during the end of the 15th century that the Portuguese began using the city of Bandel as a port. So as the Portuguese began to settle down in this city priests began to convert many of the locales into Catholics. It was then in 1579 that a man called Captain Pedro Tavares secured permission from the then ruler Emperor Akbar to preach Christianity and erect churches in the city of Bandel. 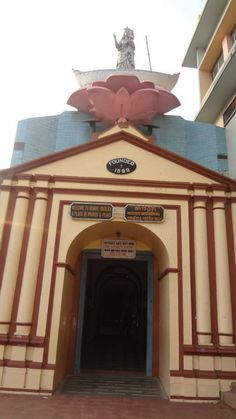 In response, the Emperor granted permission and by 1599 (with the population of Catholics in the city having dramatically increased) this church popularly known as “Bandel Church” was eventually constructed.